The THPUL1 is a lightweight & compacted anodised aluminium pulley which ha an MBS of 22kN. The fixed side plates make attaching a connector quick & easy. 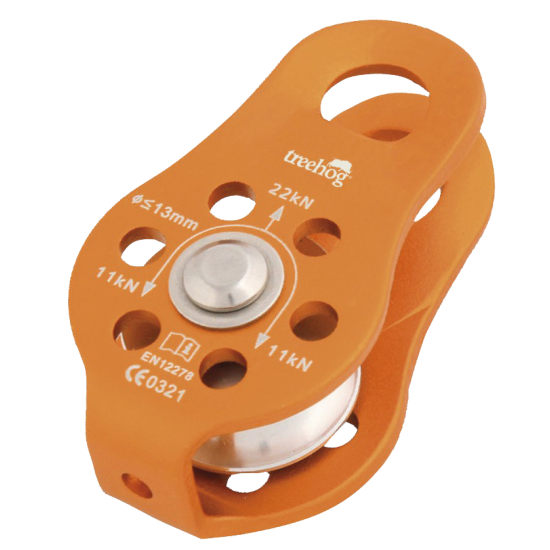 The pulley can be utilised as a redirect pulley, as part of a climbing system to tend friction knots or in combination with a chest ascender as a rope grab.